One of the biggest challenges in an educational environment is to keep children on task. The diverse range of characters and personalities in a classroom can often make it difficult to integrate every child during every activity, and therefore, always interested in what they’re doing. However, pigeonholing pupils is an area that rarely works due to the vast nature of their backgrounds and individual circumstances. Instead, getting the right balance is key to improving the abilities and skill set of children both inside and outside of the classroom. One of the main aspects of promoting a focused path in learning is to keep motivation levels high to encourage enthusiasm and intuition. Both adults and children alike know that if they don’t like doing something, they rarely do it well. The same can be said for education, and one of the major issues in learning is that it can be perceived as boring or non-beneficial to the pupil. If a student lacks the willingness to do something, this can make an educator’s job extremely difficult, especially when you have many other pupils to cater to. To avoid these pupils falling through the cracks, motivation is key to improving the learning environment for the whole class, enabling better absorption of information and improved engagement. Ensuring motivation stays high is not just crucial for classroom study, it is essential for life skills too. When children go into adulthood, they will need the skills for self-motivation to ensure everyday tasks can be fulfilled. One of the most challenging aspects of ensuring pupils stay on task is to keep each child motivated, and this will be dependent on their needs. Everyone is different, and in many cases, it is difficult to categorise students other than based on their ability. Unfortunately, ability may not be a good indicator of whether someone likes participating in a particular task, or if they even want to at all. Some children have natural talents, and others work hard at becoming good at something. Thus, the emphasis on meeting the overall needs of the group can sometimes be drawn from ensuring the whole class is motivated to interact and take part. According to statistics, attention spans are getting shorter due to the impulsive way we assimilate information via the web and smartphones. As more children have access to this technology at a young age, it can prove even harder to keep them motivated on a single task, which can also start to affect how they behave and cope in educational environments. Daniel Kilov is a Memory Athlete. He is capable of memorizing a shuffled deck of cards in less than two minutes, and over 100 random digits in five minutes. Daniel has employed his memory techniques to great effect in his studies and was awarded the Monash Achievement award in 2009 for his studies in the Bachelor of Arts, which he completed in 2011. In 2012 he graduated with 1st Class Honors from the Macquarie University and is currently undertaking a PhD at ANU. He is also working as a memory coach and speaker. In addition, he is a member of Mensa, the high IQ society, and has written on memory for the Mensa journal TableAus. Daniel believes that we are all mental athletes; in a competitive world, we all need to be able to remember more, to be more creative, innovative and focused. In this sense, the techniques used by memory athletes should be available to everyone. In particular, they can be used to empower students in a classroom context and to transform learning into an opportunity for creativity and fun. For interactivity to work in education, assessing the strengths and weaknesses of pupils can help students to work together to support each other. In many cases, it is not beneficial to put all of the students together if they have the same qualities. This is because they often won’t learn from each other, and their personalities may also clash, as they are very similar. By determining how each pupil fares in different activities, you can assess how they would work together to boost each other’s motivation. Taking these steps can help to tailor lesson plans and make everyone feel included, whether they find a task difficult or easy. Another way to keep pupils motivated and striving to achieve more within their learning environment is to create attainable goals. The focus for goal making should be on a realistic and manageable objective that doesn’t overwhelm the student. If targets are too stringent, then lack of motivation sets in as the goals look unachievable. Therefore, getting the right balance is key. If goals are reached in an educational setting (whether this is from achieving a particular test result or setting a new personal record), these targets can be adjusted so the pupil can aim higher next time. By making small, attainable objectives, students will feel more motivated and inspired to achieve them. they’re also spurred on for pushing harder next time. All work and no play is not good for anyone; especially children and young adults that are full of energy and excitement. Learning can be made fun, but to boost motivation in lessons (especially for more serious elements such as exam time), taking time out should be encouraged. These frequent breaks should involve a mixture of short rest breaks during lessons, plus more extensive time away to enjoy a well-earned respite from study. For extended trips, organising time that also incorporates some elements of learning through areas such as team games and interactive participation is a great way to build up general life skills alongside supporting the classroom environment. An easy way to get everyone involved while they take time away from the books is to arrange a sports or activity tour. This brings everyone together to have fun and participate in some healthy competition. Children and young adults learn a lot from peers and influential adults such as parents and teachers. So, as a teacher, becoming the best role model you can be is paramount in helping them stay motivated and inspired to push themselves further. When arranging group activities or encouraging pupils to participate, it is crucial to show them that you are also willing to take part. This establishes a connection between you and the group, which helps students to feel more at ease with the task at hand. It also provides an open forum for asking questions without the feeling of judgement. Author, Consultant and Professional Speaker, Susan Fitzell, says: “When I was teaching high school and working with struggling learners, many of my students were unmotivated, felt defeated, or believed they were stupid. “Having taught bullying prevention for several years at that point in time, I taught youth to label negative self-talk as “bullying thoughts.” I encouraged them to look at their thoughts by suggesting that they “Be a mind detective.” I explained, “You’ve got thoughts going through your head. As a detective, determine: Are those thoughts negative? Are they positive? Are they telling you good things about yourself or bad things about yourself? What are they telling you? If they’re telling you bad things about yourself, tell them to stop it. “Reward yourself: once you hit each little milestone, give yourself the a reward. Take a break from studying. Go grab a snack. Allow yourself 5 minutes to check something out on the Internet. “Temporarily delete social media:it can be tempting for all of us to scroll through social media. So, delete the app temporarily. Or get your friend to change your password until you are finished your task/project/assignment! Regular exercise can help in a number of ways, including improving both physical and mental health. One of the best solutions to keep pupils motivated is to help them feel good on the inside and out, and sport and fitness do this in abundance. It is proven that increasing fitness levels boosts the chemicals in your body that make you feel happier, so encouraging participation in sporting activities is an essential step in progressing further in education. Mental health is also a major talking point in modern society, and building the foundations of a healthy routine in younger years can help to reduce the effects or onset of health issues in later years. Improving physical and mental health can help students feel more confident in their abilities and strengthen their willingness to learn new things. However, these benefits don’t just apply to educational environments; this also has positive impacts on general life skills and coping with external situations. By providing pupils with the right tools for later in life, they will become more rounded and confident individuals that are equipped to handle a variety of modern pressures. It is important to note that both competitive sport and recreational hobbies carry equal value in regards to boosting progression in learning. Each have different qualities and can help in a variety of ways, but it has often been the focus that competitive sports set students up better in life. However, this is not the case. Getting the balance right is hugely beneficial for pupils, as a dose of healthy competition can help in focusing on targets and attainable objectives. It also assists in teaching children about being a runner-up and how to handle potential failure. Alternately, leisurely hobbies can encourage the benefits of taking part for fun and building bonds with people with similar passions. Motivation ultimately drives a pupils willingness to learn and engage in classroom situations. It may seem like a simple concept to conquer for improved learning, but there are several obstacles to overcome to ensure each student is included and feels confident when contributing to class activities. Sport and extra-curricular activities are vital to promoting a good school and home-life balance. Getting this right could help to provide a supportive and interactive place for students to feel comfortable and motivated to work hard and achieve more. 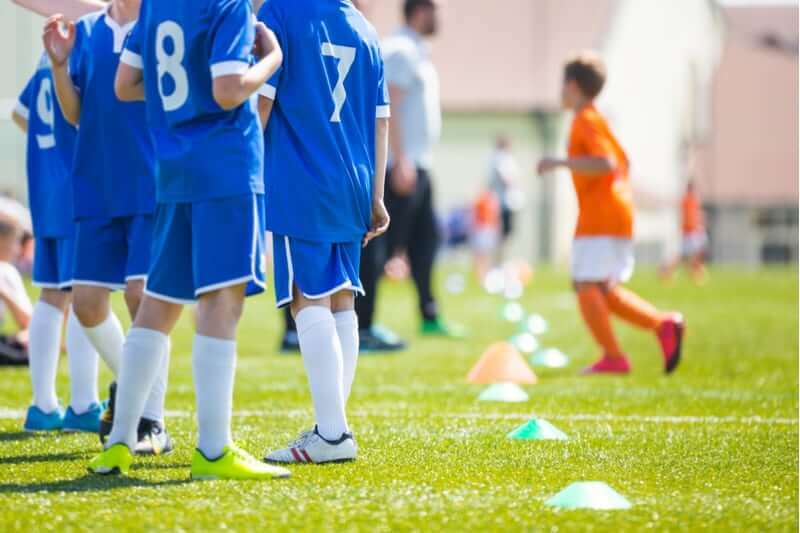 Getting feedback is also another crucial aspect of keeping pupils motivated and willing to learn, as this may highlight some areas that could be improved. This feedback may be from other education leaders or the pupils themselves and will help you to change things up to boost overall participation and motivation.